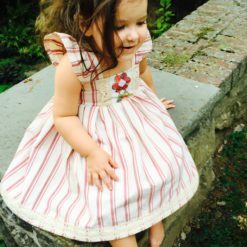 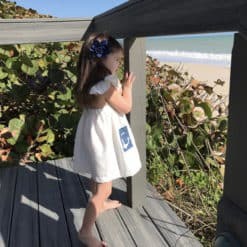 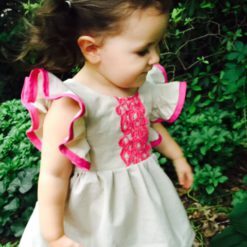 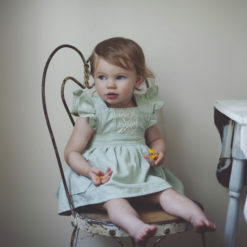 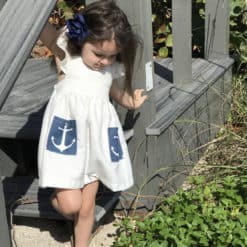 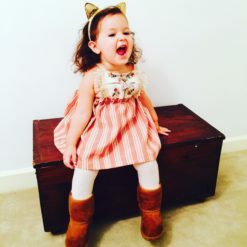 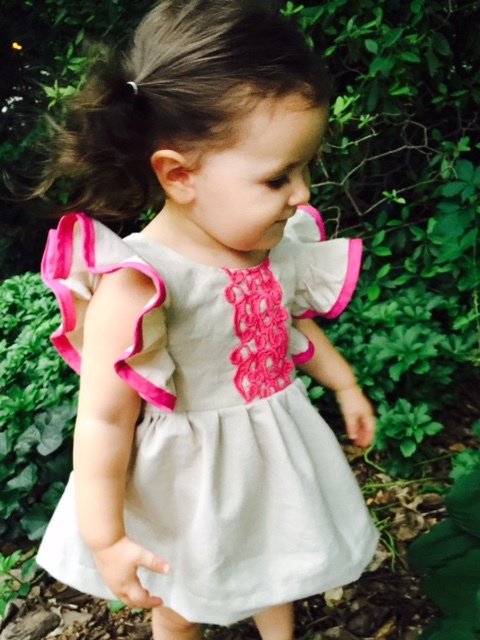 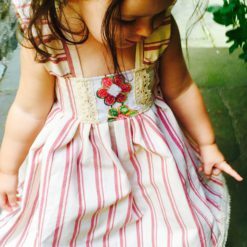 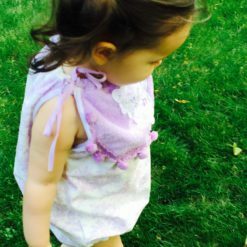 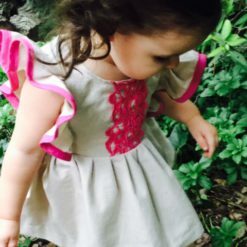 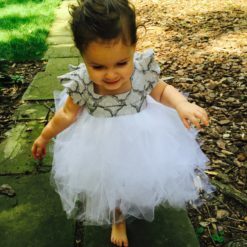 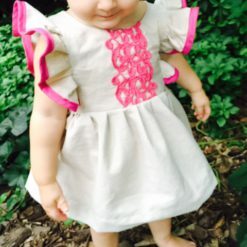 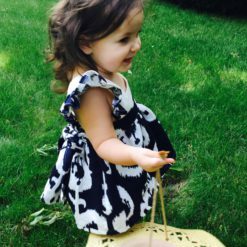 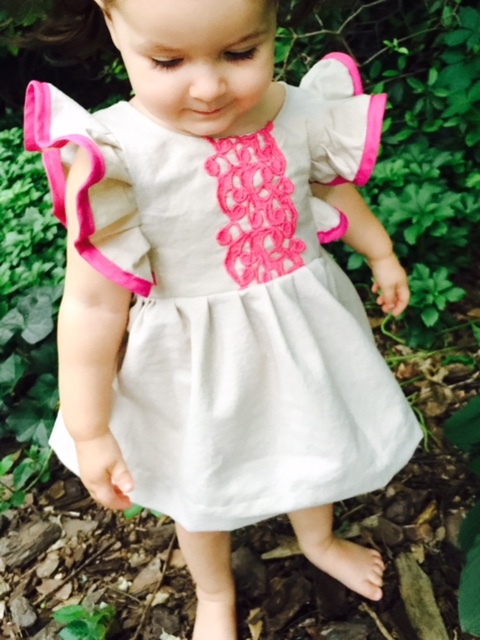 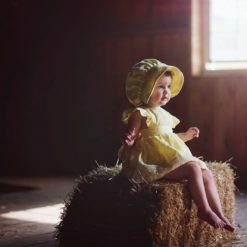 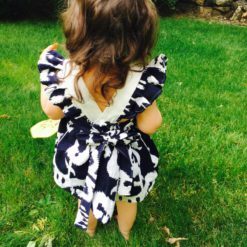 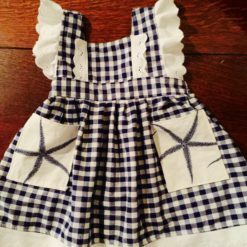 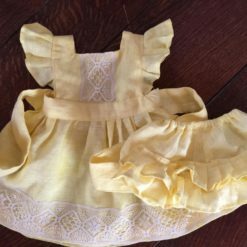 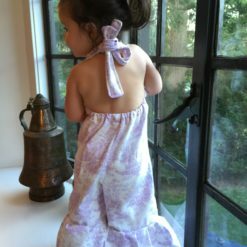 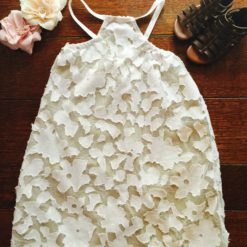 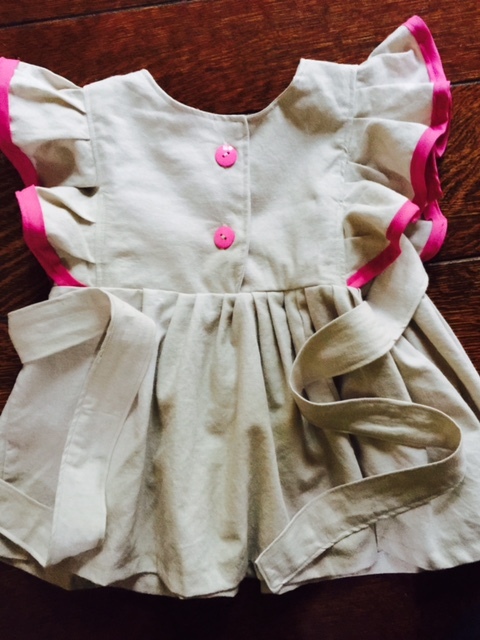 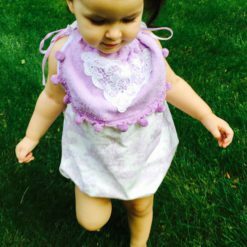 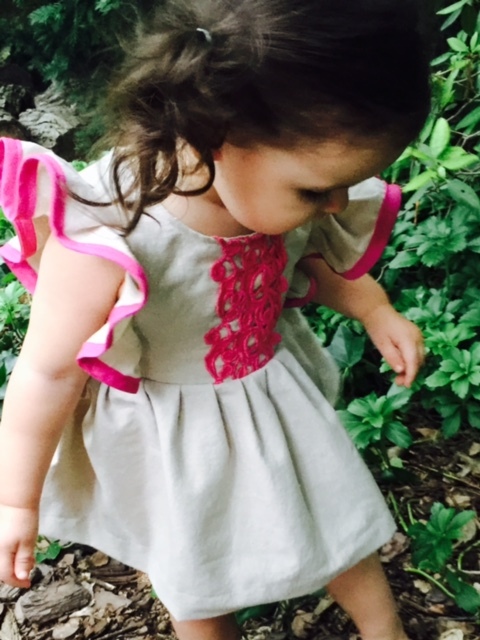 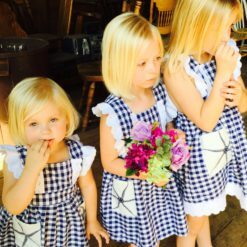 This dress is made using an incredible cotton/linen fabric that is pre-washed and pre-shrunk. 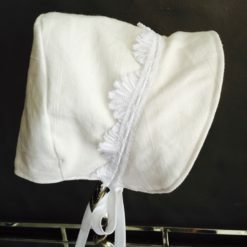 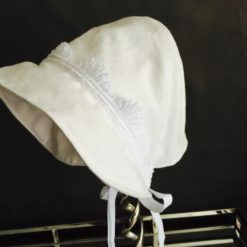 The embroidered trim on the front was made in Germany 1972. 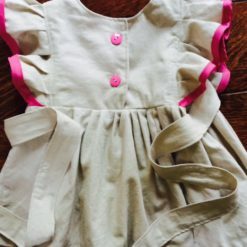 There are two matching buttons on the back of dress and ties at waist. 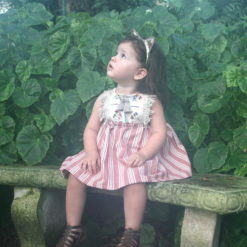 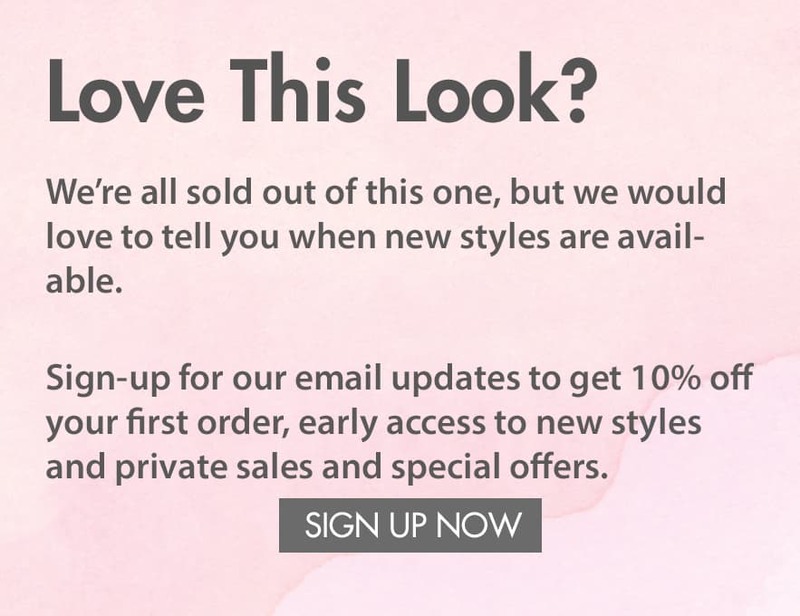 Because of this, we an only make very limited quantities of this dress which runs a little large so please size down. 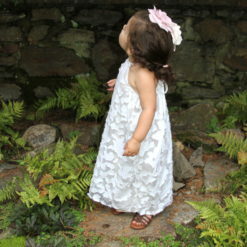 Feel free to contact us with any questions regarding size.